For adventure lovers, Belize still remains somewhat of an underrated destination. In 2009, only a surprising 231,249 travelers visited this tropical paradise. Competing with the other great adventure destinations, it’s easy to see why Belize can often be over looked. However, once you’ve experienced a taste of what this unique, vibrant and diverse culture, it’s guaranteed that you’ll never want to leave. With a whole plethora of exciting activities on offer, a beautiful and historic landscape and a near-perfect climate, there are endless reasons why you should book a trip to Belize right now and consider never returning! Probably one of the most famous diving landmarks in the world is located just off the coast of Belize. The Blue Hole is a unique geographical feature, where a sinkhole has formed in the center of the Lighthouse reef. The result is one of the top scuba spots in the entire world; with endless tropical sea life and crystal blue waters, it truly is not to be missed. 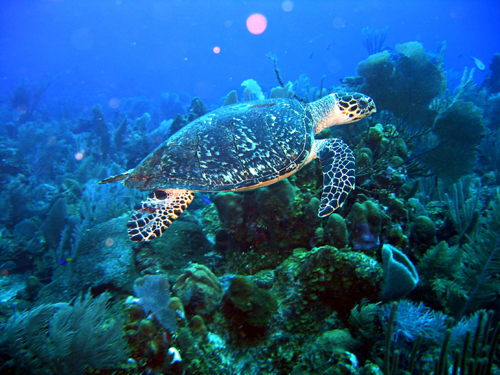 Beginner divers can also find a paradise in Belize. 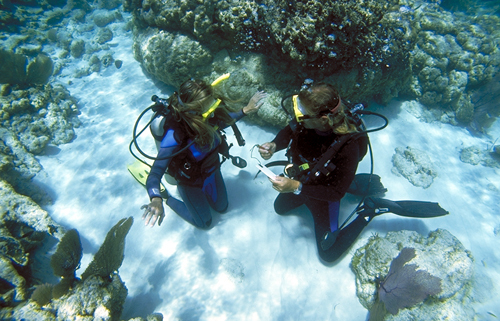 There are numerous scuba and snorkeling lessons and courses available, and organized tours can take you out to help you find the best spots for marine life. Once you’ve taken your first dip, you’ll be hooked automatically. 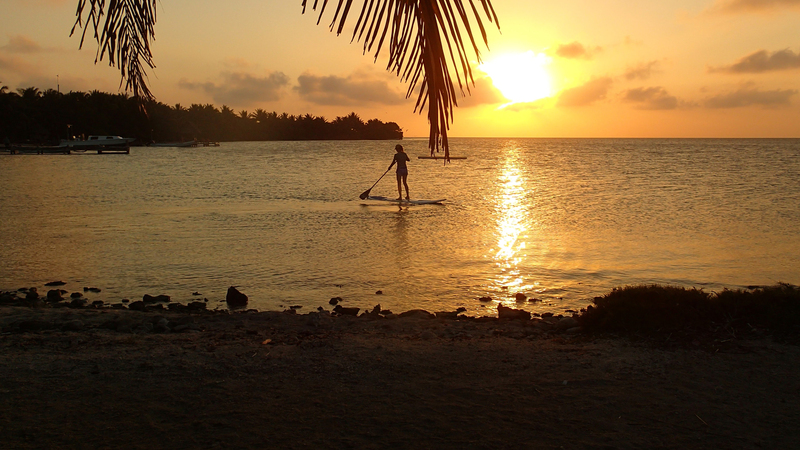 It’s not just under the water that makes Belize a hotspot for adventure lovers. The weather and location make it the ideal place for watersports of all time. Whether you’re looking for a serious adrenaline rush or just a bit of fun in the sun, Belize is the answer. All over the beautiful coastlines there are watersport schools that offer lessons and equipment hire for a reasonable price. Whether you’re a beginner or expert, you can go windsurfing, kite boarding, surfing, kayaking and paddle boarding—to name just a few! The views are beautiful, the water is warm, and there’s endless fun to be had. It’s no wonder why so many people struggle to leave. 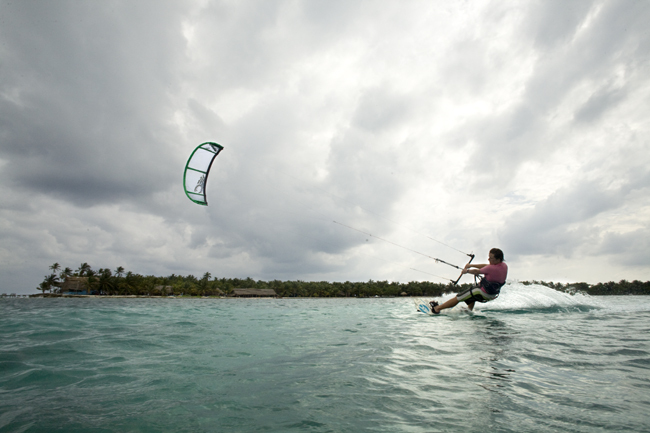 There is also plenty of fun to be had while staying dry on this beautifully varied set of islands. With its lush jungle canopies and thick rainforest, there are plenty of hikes available that will fulfill any traveler’s thirst for adventure. With numerous national parks and nature revelations all over, there’s no shortage of choice. Head to the Mountain Pine Ridge Forest Reserve to see the only true pine forest in all of Central America and one of the best waterfalls worldwide, or visit the Cockscomb Basin Wildlife Sanctuary for epic tropical trails and the largest concentration of wild cats on the planet. Whatever you decide will make a fulfilling day out, and you’ll always know there’s more to pick from! Somewhat surprisingly, there’s a massive caving culture in Belize. The cayes, islands and intricate waterways have left a labyrinth of picturesque rock formations that are incredible to explore. Hokeb Ha Cave and Tiger Cave are only accessible by swimming through a cool pool of water, but once inside, the stalagmites and stalactites makes you feel like you’re on another planet. Kayak caving is also extremely common in Belize. You can take the boats up smaller streams and water passages to gain access to the many caves on the island. Doing this is a novel spin on your generic caving excursion and allows you to explore the island in a truly unique way. You can’t talk about the highlights of Belize without covering the Mayan Ruins. Many of the best-preserved ancient Maya sites can be found in this country, nestled away in the thick jungle and luscious countryside. These awe-inspiring centers of culture and history are dotted all over, and many require long treks to reach. However, for adventure lovers, nothing is comparable to arriving at your destination and uncovering these stunning ancient buildings through the canopy of leafs. Top spots include Tikal (in nearby Guatemala), the ultimate Mayan city; Xunantunich, a hilltop castle and the most easily accessible; and Lamanai, which is usually accompanied by a river safari. They are truly beautiful sights, both historically and aesthetically, and the thought of having them right on your doorstep can make it very hard to consider leaving Belize! With endless amounts of fun, excitement and stunning attractions, Belize may not be the most popular adventure destination, but it’s definitely that sort that makes you want to stick around for longer. After experiencing all it has to offer, the only thing left is to gain access to Skype to ring your loved ones and let them know you’re not coming back! However, you’ll need to have a Virtual Private Network (VPN) to do so because all VOIP services are blocked in Belize, and a VPN will help you get around these regional restrictions. 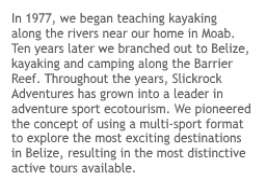 If this list isn’t enough to convince you contact Slickrock Adventures with any questions about making Belize your next vacation destination! Jess Signet is an avid traveler and enjoys writing about her adventures. Knowing there’s more to the world than the bubble she lives in makes her want to travel even further. First and foremost, the climate is fantastic. Not to mention diving off the world’s second largest barrier reef. And the many eclectic cultures, mixing freely, reflect the history of the region as it has been passed like a plaything between the worlds. Amazing fauna and flora, wildlife, a zoo with a biologist’s dream of creatures all native to the country. And even real touch-it-if-you dare ruins from long lost cultures? Yep. Sure, loads of other countries have got these things. Very few have got them all, all within an afternoon’s travel, all under the same high jungle canopy roof. And more. The possibility for adventure is almost limitless. Belize is situated in a geographically rich area but amidst a politically fraught arena. The words “Central America” can conjure some of life’s less pleasant images but all this has seemingly passed Belize by. Not for Belize the troubles of Mexico to the north, Guatemala to the west or Honduras to the south. Belize is a tourist’s paradise. So you like your adventure extreme? If you’ve ever seen a giant turtle on land they can seem ungainly, awkward creatures. Definitely not built for speed. But should one come up to you to say hello while you’re a meter or two underwater, and they do, then the difference will take your breath away. You may have set out hoping to see a shark or a barracuda, and you might, but it is the speed and elegance of this once-delicacy – mock turtle soup tells its own story – that is true nature in its truest form. As close as 300m off shore in places in the north is the Belize Barrier reef, a World Heritage site, and Belize boasts a third of its 900 km, second only to Australia’s Great Barrier Reef. The statistics boggle the mind. Over 100 species of coral, 500 species of often very colourful fish. Some 90% of the reef as yet unexplored. Then 70 km off the coast is the Great Blue Hole, 124m deep, an almost perfect 300m in diameter circle of deep blue sea made famous by the legendary Jacques Cousteau. 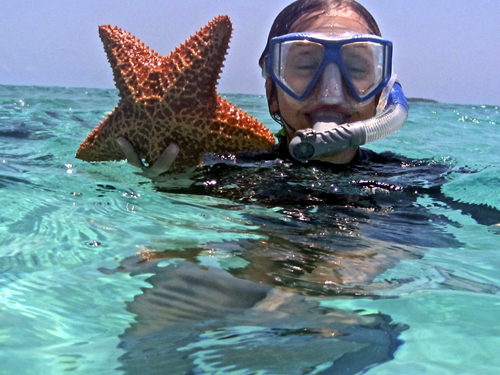 If you like your water sports less extreme, the opportunities to take the kids snorkeling are almost limitless. In the almost countless places the reef pops above the still surface of the Caribbean, the cayes in this part of the world (pronounced ‘Keys’) provide easy access from sandy beaches into the peaceful translucent aquamarine sea. Want to keep your feet on terra firma? Should you prefer your adventures away from the water, solid ground provides a multitude of activities. The capital of what was once called British Honduras, indicative of its colonial past, is not actually Belize City but Belmopan (the state assets were shifted inland owing to the risk of hurricane damage to the coast), located on the stunning and beautifully named Hummingbird Highway (yes, these astonishing birds are one of about 590 species in the country, of which two are endangered, fancy re-tweeting that?) almost half way between the border and the coast, just off the less-prosaically named Western Highway, just down from the Zoo. There aren’t many zoos in the world that can list such a range of animals that are native to the country the zoo is located in, down to the Belizean rattlesnake that unless you can get to Miami in a hurry you don’t want to be bitten by. Continue on down the Western Highway almost to the border with Guatemala to see one of the most stunning sites on earth. The Mayan Temple of Xunantunich is thought to date from before its period of growth and importance in AD600. The result is a truly great cultural monument that reveals insights into one of the world’s great cultures, pre-Spanish Colonization. But what else? What if you don’t want to stay in one place? Belize’s coastline gazes out onto the Caribbean. Is there a greater place to relax? If Belize is the ultimate do-it-yourself destination then the Caribbean is the ultimate let the “tour operators take the strain” destination. The Cayman Islands, the Bahamas, the West Indies. Redolent of sun, sea, sand, and history. With a multitude of carriers flying into many of the islands and cities, modern jet travel has made the 700 islands the go-to destination for today’s sun seekers. So take your pick, water activities or toasting in the sun. The laid back easy paced life of the Caribbean, trekking and camping in the jungle and a biological history that attracted Darwin. 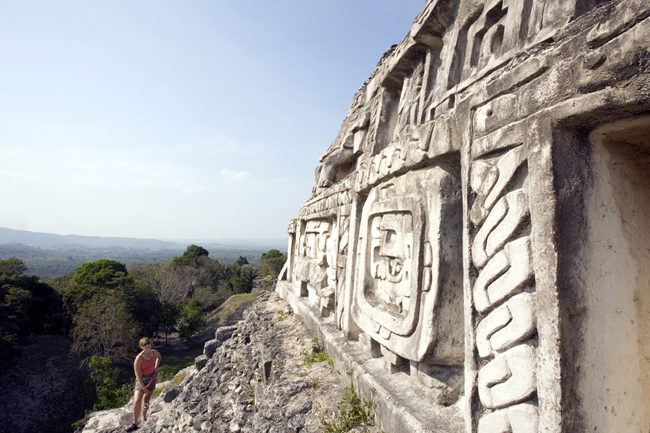 Thick jungle or pine ridges, stunning waterfalls, Mayan history and culture. Geo-politics, Spanish and British colonialism. A traveler’s paradise, a holidaymaker’s dream. As a destination it is second to none and its variety of activities outstanding. This video from a visit to Belize in April shows divers feeding a nurse shark from the tip of their spear gun. 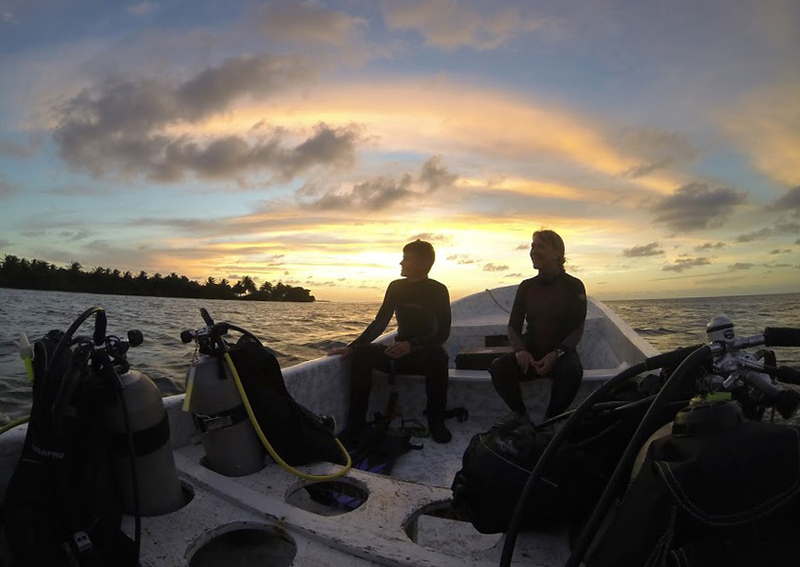 On Long Caye, the only fish we spear are lionfish, an invasive species that is hurting the ecology of coral reefs around across the Caribbean. Every week we snorkel The Aquarium, just a 1/2 mile paddle from our island. It’s a shallow patch reef surrounded by bright white coral sand. Belize snorkeling video filmed at The Aquarium, near Long Caye at Glover’s Reef, Belize.